Newbridge Silverware has launched a brand-new jewellery collection called MoonKoin. The delicate new range from the Kildare company features items in blue, green, orange, white, pink and purple, and is sure to delight younger buyers. It includes pendants, cuffs and bangles and items are priced between €25 and €60. Moonkoin offers two styles of pendants in a long rose-gold plated finish (€35) or a silver-plated pendant more delicate version (€35). MoonKoin also offers two cuff options, which are available in a statement-style in rose-gold plate at €60 each or in a silver-plated more subtle option for €45 each. To complete the 38 piece range, Newbridge Silverware has included two styles of bangles, perfect for stacking. 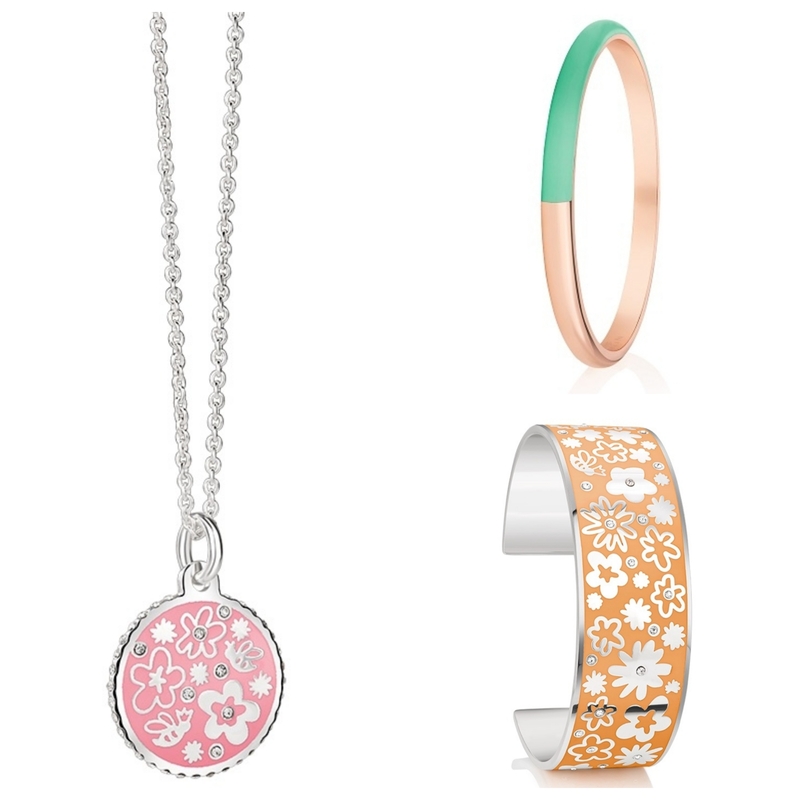 Again there is a silver-plated (€25) and rose-gold plated style (€28) to choose from. All items are available in a range of shades. The new MoonKoin Range is now on sale from selected Newbridge Silverware Stores and Stockists, as well as from the Newbridge Silverware Visitor Centre and online at www.newbridgesilverware.com.